France's Emmanuel Macron was accused Monday of lacking empathy after criticizing an elderly "yellow vest" protester who was badly injured during a demonstration in Nice at the weekend. Macron has repeatedly been accused of harboring an arrogant, dismissive attitude towards ordinary people who complain about having difficulties making ends meet. Last year he famously told an unemployed gardener, who complained about not finding work after sending out hundreds of job applications, that he only had to "cross the road" to find work. 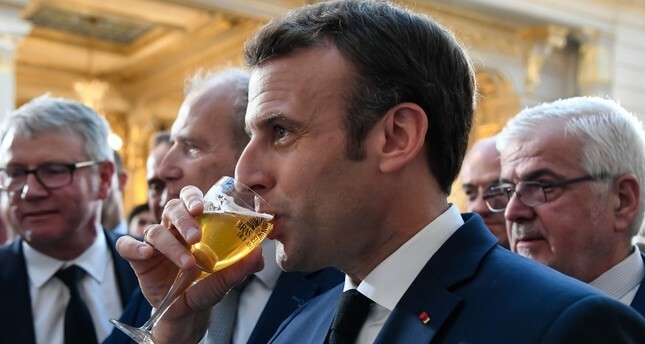 He also told elderly citizens protesting over pension cuts that the French should moan less, and described people who took to the streets over his reforms to the labor code as "slackers". The target of his latest swipe was Genevieve Legay, a 73-year-old anti-globalization activist, who suffered a fractured skull on Saturday after riot police charged anti-government demonstrators in the Riviera city of Nice. Nice prosecutor Jean-Michel Prêtre said she appeared to have hit her head on a bollard as the police were trying to prevent protesters from entering an area declared off-limits to demonstrators. Macron, who travelled to the area on Sunday to meet visiting Chinese President Xi Jinping, told the Nice Matin newspaper that he wished Legay a "speedy recovery" but also "a form of wisdom". The remarks were immediately criticized by Legay's family, which has accused police of using disproportionate force to clear protesters. "You don't criticize someone who is on a hospital bed," said the family's lawyer Arie Alimi, calling Macron's remarks "crass and insensitive". The left-wing opposition also seized on the remarks as further proof of what they presented as the centrist president's lack of sensitivity. "Mr Macron, our Genevieve of Nice does not need your lessons in wisdom. You could learn a lot from her. She stands up for the common good. And you, in the name of what are you hitting her?" the firebrand leader of the hard-left France Unbowed party, Jean-Luc Melenchon, tweeted. Communist Party spokesman Ian Brossat also expressed indignation over Macron's reaction. "A 73-year-old lady ends up injured after a demonstration and the president of the republic is almost saying she went looking for it. How dare he? ", Brossat tweeted. But on the right, there was some sympathy for Macron. "There was a demonstration ban" in central Nice, noted the city's mayor Christian Estrosi, a senior member of the main opposition Republicans, adding that Legay "could easily have demonstrated...where it was permitted". Nice was one of a dozen cities, including Paris, to ban the "yellow vests" from demonstrating in the city center on Saturday after major riots in Paris a week earlier. The protesters, who have been holding weekly nationwide demonstrations over inequality since mid-November, complained that the ban in Nice was unfair, given that previous such protests in the city had passed off peacefully.